A pool party on Sunday ended abruptly for 11-year-old Katie Murphy when the FBI swung by and whisked her back to her Montclair, N.J., home. That same night in Yonkers, N.Y., Waldomar Mariscal, 38, returned to the house he shares with his parents to find officers combing through his family’s possessions. 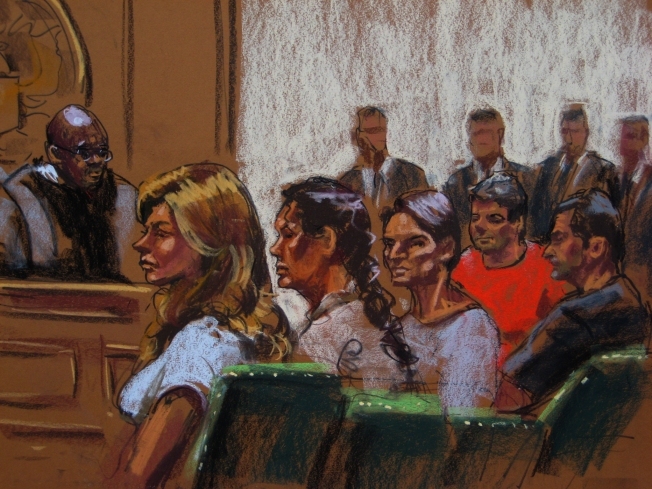 For the 10 alleged Russian spies, there is little question they’ll be held in FBI custody. But for their children, the immediate future isn’t quite as clear. While Mariscal is an adult and the oldest of all the suspects’ children; the other six kids may find their lives in turmoil without their parents. They belong to four couples who were arrested: Richard and Cynthia Murphy of Montclair, N.J., parents of 11-year-old Katie and Lisa, who is believed to be 8; Vicky Pelaez and Juan Lazaro of Yonkers, N.Y., parents of 38-year-old Mariscal and a 17-year-old son, who hasn’t been identified; Donald Howard Heathfield and Tracey Lee Ann Foley of Cambridge, Mass., who have two sons, ages 20 and 16; and Michael Zottoli and Pamela Mills of Arlington, Va., who have a toddler named Kenny. Even the current whereabouts of the alleged spies’ kids are sketchy. After being plucked from her pool party Sunday, Katie Murphy and her sister Lisa were placed in the custody of a female FBI agent who drove them off in a van with tinted windows, neighbors said. They were carrying sleeping bags. Zottoli and Mills, the Virginia couple, wanted their child placed with friends of the family, a spokesman for Arlington County told NJ.com. Their son is temporarily in the custody of a social service agency while the FBI conducts a background check on the friends. A call to Foley’s lawyer from msnbc.com was not immediately returned. Very little information has been disclosed on the kids of the other suspects. The other two alleged spies, Anna Chapman of New York and Mikael Semenko of Arlington, Va., are believed to be single with no children. Cases involving the arrests of both parents on spying charges are rare in the U.S. One of the most high-profile cases was Robert Meeropol, who was orphaned as a child after his parents, Ethel and Julius Rosenberg, were executed on spy charges during the McCarthy era. Meeropol now runs The Rosenberg Fund for Children, an organization aimed at providing emotional and educational support for children in the U.S. whose parents “have suffered because of their progressive activities,” according to the foundation’s website.